The Chesapeake Multicultural Resource Center (ChesMRC) is open to the public Monday thru Friday. 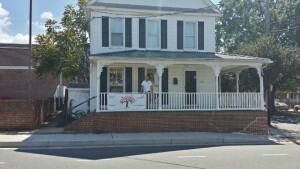 We are located at 20 Bay Street in Easton, Maryland, directly next to the former Safeway parking lot. You can contact us at any time at 443-786-1120, or write info@chesmrc.org.